Sword Cold Steel English Back Sword(88SEB) Sharp medieval swords, two handed sword, viking sword, hand and half sword and others. “What a brave weapon is a short sharp light sword, to carry, to draw, to be nimble withal, to strike, to cut, to thrust both strong and quick” - Paradoxes of Defense - George Silver. 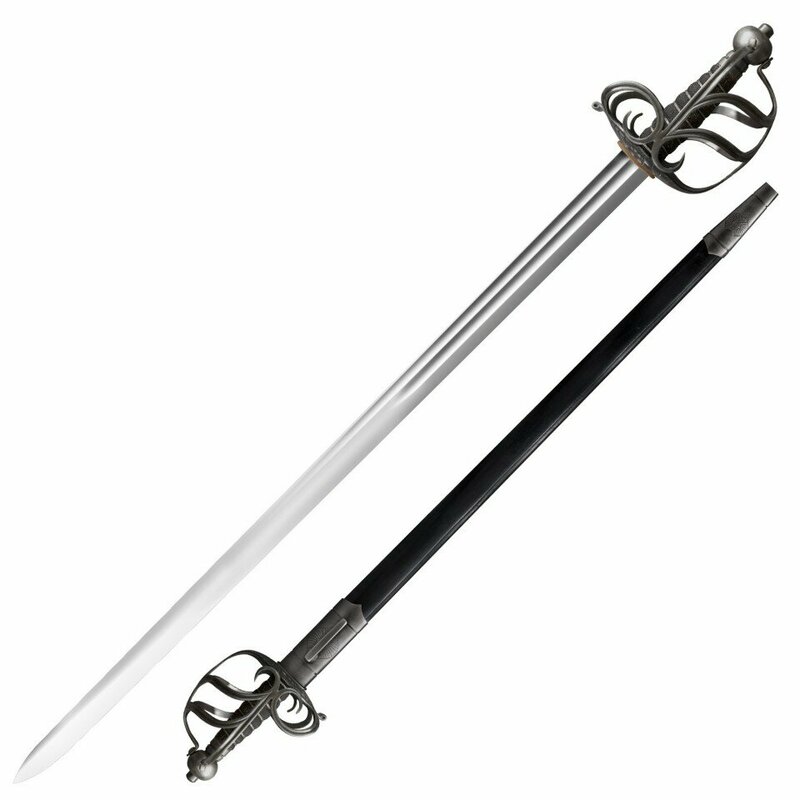 1599 We are proud to add our interpretation of a 17th Century English Mortuary Hilt Sword. –Inspired by historical examples, this nimble single-handed sword is fast and lively in the hand and a sheer delight to train with. Able to land a decisive blow even when cutting fast from the wrist, this beautiful sword has already proven to be very popular among our crew, who have proclaimed it to be one of their favorite one handed cutters. Made from 1055 Carbon Steel and supplied with a mild patina to give an “antiqued” finish, each English Backsword is fully sharpened and supplied complete with an ornate leather and steel scabbard. An excellent addition to the collection of any Historical European Martial Artist or Historical Re-enactor.